Imagine, if you will, that two years ago, you had the opportunity to invest a relatively small sum of money in a property. The general consensus and online research at that time was all pointing in one direction but, your enquiries with a professional firm was pointing you a completely different direction. In fact, most people were talking that particular location down. That was the quandary for Sydney-based investor, Pravin, in early 2016. Back then, he had been a confirmed “buy in your own backyard” type of investor for quite a few years. The strategy had worked pretty well for him over the previous decade but, after building his portfolio to a decent size, he realised that land tax was about to become a problem. Plus, he understood that he’d created a market concentration risk (his portfolio clearly lacked location diversity). As a DIY investor, Pravin had bought quite well over the years – well, apart from his first property in 2004, which he still lives in. “My partner at the time wanted something brand new and I wanted something run-down that I could do up, but she won out in the end,” he said. While Pravin, now 42, admits that wasn’t his smartest investment move, he certainly made some measured ones in the years that followed. Using equity from his growing portfolio, he bought a mix of units and houses, as well adding granny flats. But everything was in Sydney. Pravin had come to realise that he had all his property eggs in one basket and that started to worry him. “I know how easy it is for a market to turn and then be flat for a very long period of time and I had everything invested all in one city,” he said. Pravin had been following Propertyology’s research and decided to reach out to the firm to see how they could help him with his first purchase outside of his own patch. He recognised that he not only didn’t have the time to undertake the research, he knew he didn’t have anywhere near the depth of expertise as a business that analyses property markets all over Australia every day. Remember, this was in early 2016. While Propertyology had already been actively investing in Hobart for a couple of years, the Australian public had been talking Hobart down for several years. “When they first pitched it [Hobart] to me, I was very skeptical,” he said. “I couldn’t see how it could possibly work but once they presented all of the data, everything matched. It all made complete sense,” said Pravin. Using just $75,000 from equity in his existing portfolio, Pravin was soon the owner of a 4-bedroom, 2-bathroom house in Hobart for only $395,000. The owners had opted to stay on as renters, so Pravin’s property didn’t spend a single day vacant. With five properties already under his belt, Pravin had experienced the stresses that can come with the buying process, but this time, well, he felt not much at all. “I literally had to do next to nothing. That was the best bit because normally it’s pretty stressful,” he said. Fast forward two years to today, Pravin has not completed any renovations at all however, the rent has increased to $440 per week, meaning it doesn’t cost Pravin anything at all to hold. Recent media reports were consistently reiterating that Hobart had become Australia’s best-performed property market. It made Pravin thankful that he ignored the earlier media and general rhetoric and didn’t follow the herd; instead placing his confidence in the professionals at Propertyology. Keen to put has equity to good use and invest again, Pravin contacted his mortgage broker to get the loan process going, including organising a valuation on the Hobart property that he initially paid $395,000 for. “The bank valuation came back at $540,000. I know they [valuers] are conservative; real estate agents believe I could get $570,000 straight away. It’s phenomenal, isn’t it?” he said. As at June 2018, the property value had grown by 37 per cent and Hobart’s exciting growth cycle doesn’t look like ending any time soon. Pravin’s initial equity of $75,000 has(so far) increased to $215,000 equity. That’s a whopping 290 per cent increase in the space of just two years. If, back then, Pravin had again invested in Sydney, he may have made 10 per cent over the same period and that market but Sydney has now seen 10 consecutive months of price decline. In addition, the holding costs in Sydney are in the tens of thousands of dollars each year. With the equity soon to be released from his Hobart property, Pravin is in the throes of buying another property, again using Propertyology and again opting for an affordable location in a completely different (interstate) location. “I think some people have a fear that if you can’t see it, if you haven’t done it yourself, and you’re trusting someone with such a big investment, that they might lead you down the wrong path,” he said. 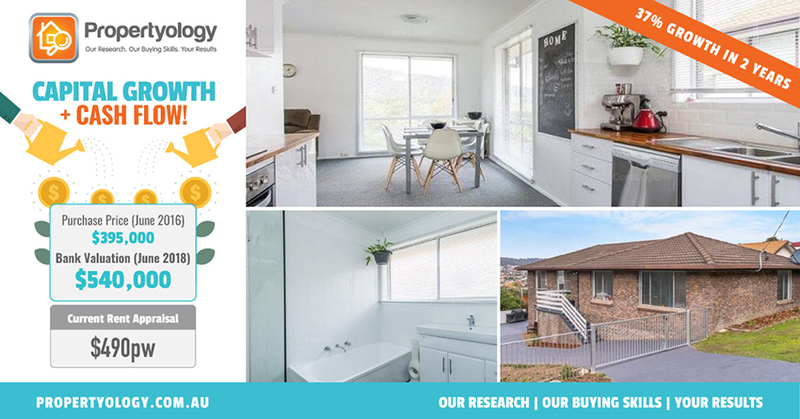 Propertyology is Brisbane-based buyer’s agency and national property market research firm. 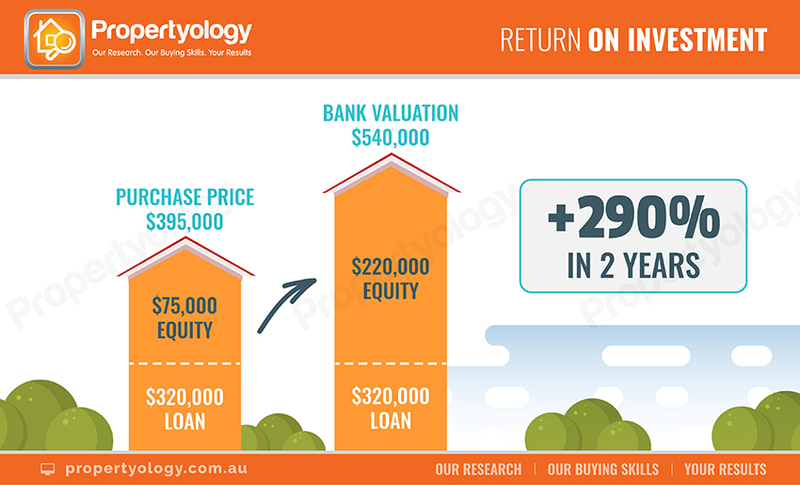 Testament to our multi-award-winning success is Propertyology’s expertise in being the only company in Australia to forecast Hobart’s remarkable resurgence and help people invest there from mid-2014 to 2016, before the boom. Now, while others fight like seagulls over a chip to get in to that market, our buyer’s agents are actively investing in a few other locations that resemble what Hobart looked like in 2014. Like to know more? Contact us here.